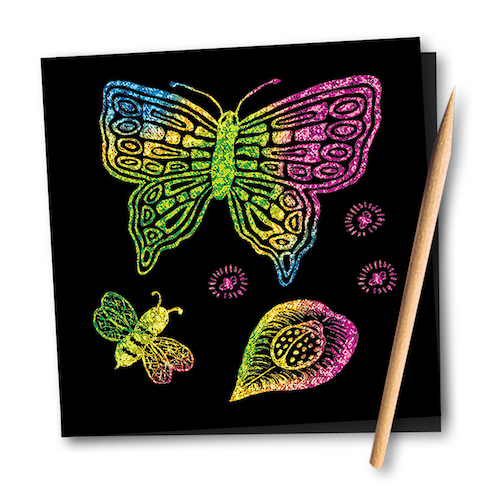 Flip open this Melissa & Doug Scratch Art Doodle Pad, draw or trace your designs and watch amazing effects shine through! 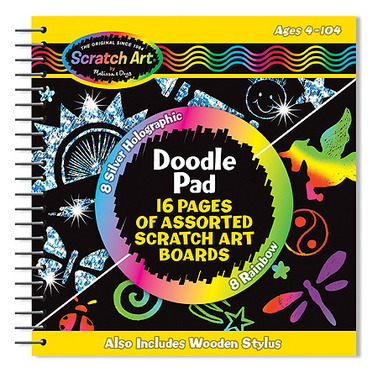 With this pocket-sized spiral-bound drawing book, it's easy for kids to take their Scratch Art to go. 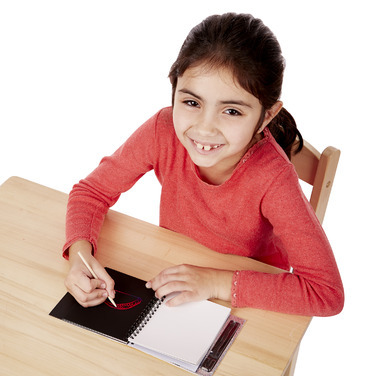 The book includes 8 Scratch Art pages with rainbow backgrounds, 8 Scratch Art pages with silver holographic backgrounds, a wooden mini stylus and a stylus pocket in the cover. Book measures 5.5" x 5.5" x 0.75"
I've bought several of these over the years. They are so much fun for all ages. Great size for taking anywhere. Bought these for my nieces for xmas, they look really cool (havent opened them) but they are really small.. size of my hand. I should have looked at the measurements for the description.. good for small hands no doubt, but could be bigger for the price. Kids love the effect and the size is perfect for little hands. 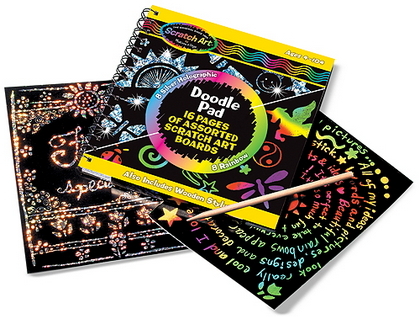 Really fun for kids & teens of all ages - good for car or plane trips!